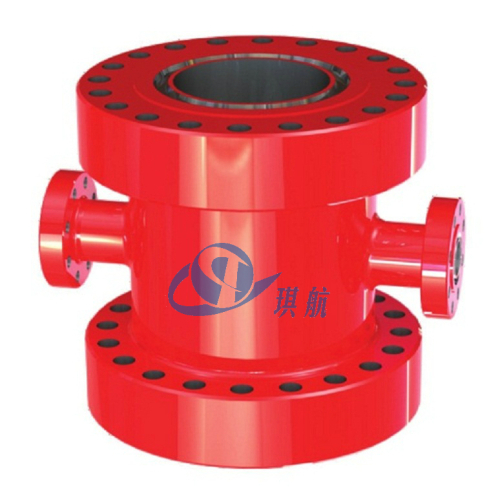 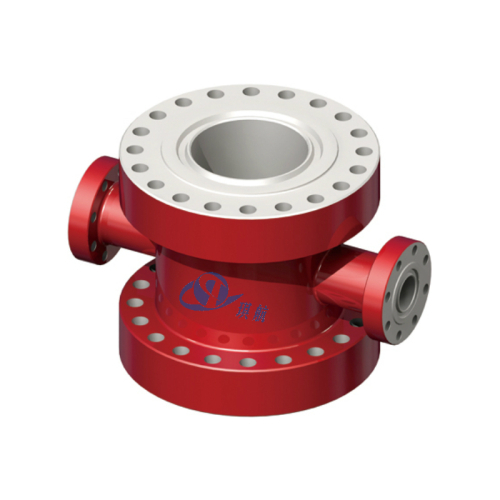 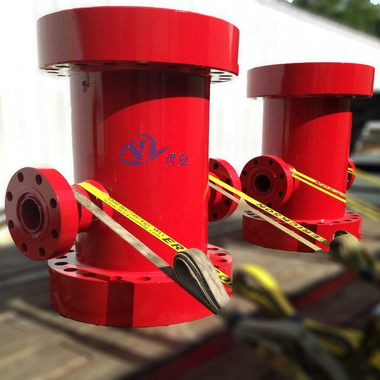 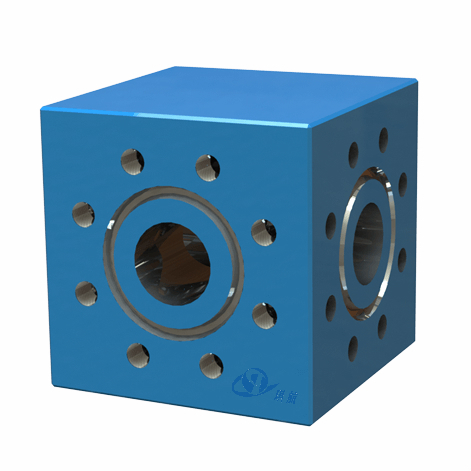 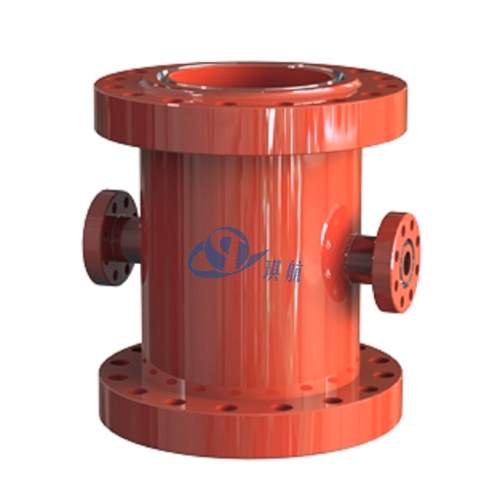 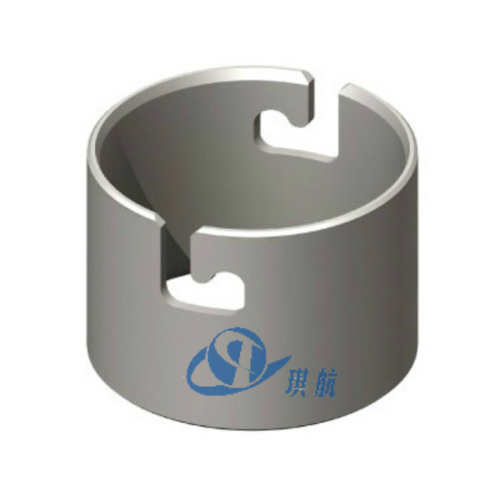 A Drilling Spool, also referred to as a Mud Cross, is pressure-containing piece of equipment which is a flanged joint placed between the blowout preventer and casing head or between BOPs that serve as a spacer or crossover. 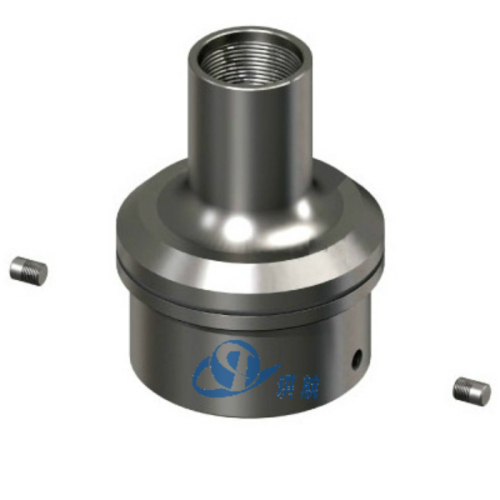 Drilling spool is often used with Blowout Preventers to space pieces of equipment apart. 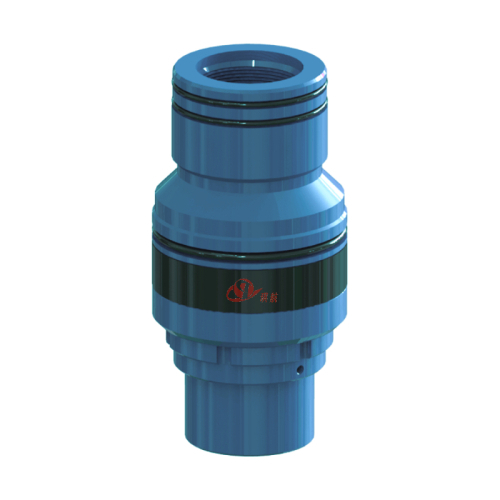 It is fitted with outlets to attach lines extending to Choke and Kill Manifolds. 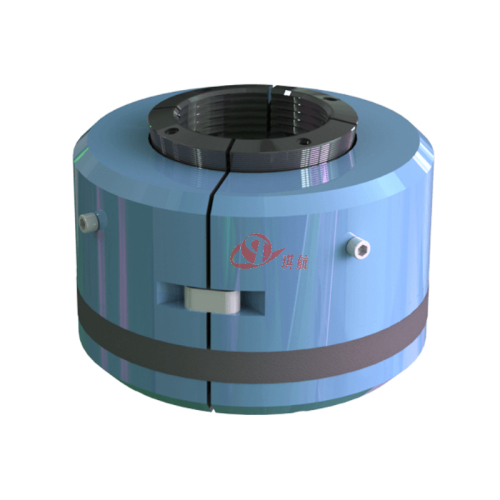 Drilling spools normally have the same nominal top and bottom end connections while side outlets may differ from each other. 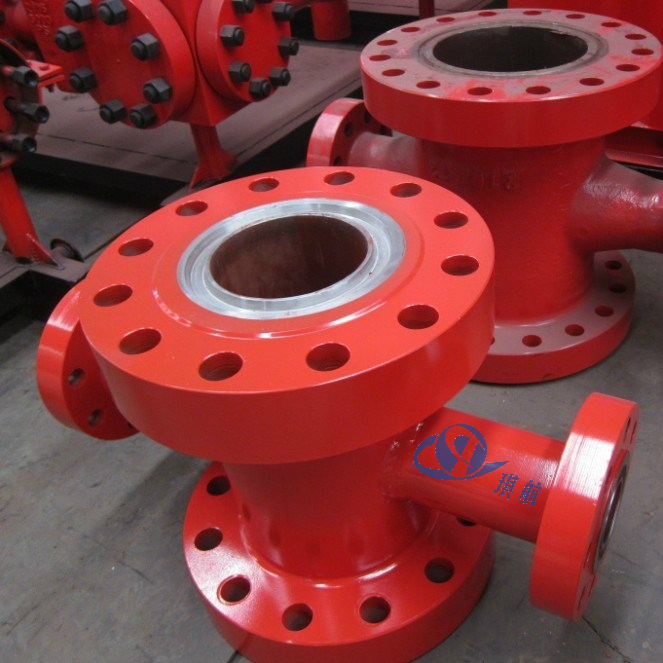 Top, bottom and side end connections can be studded or flanged. 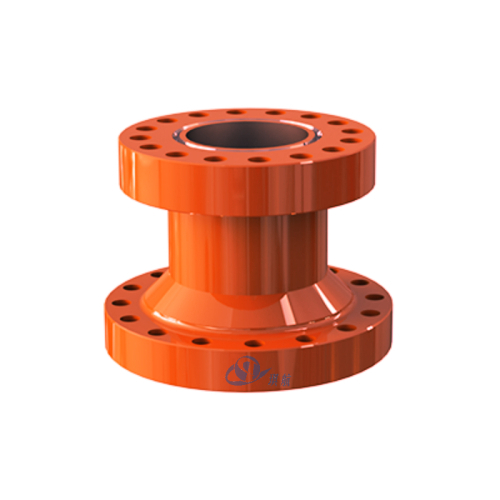 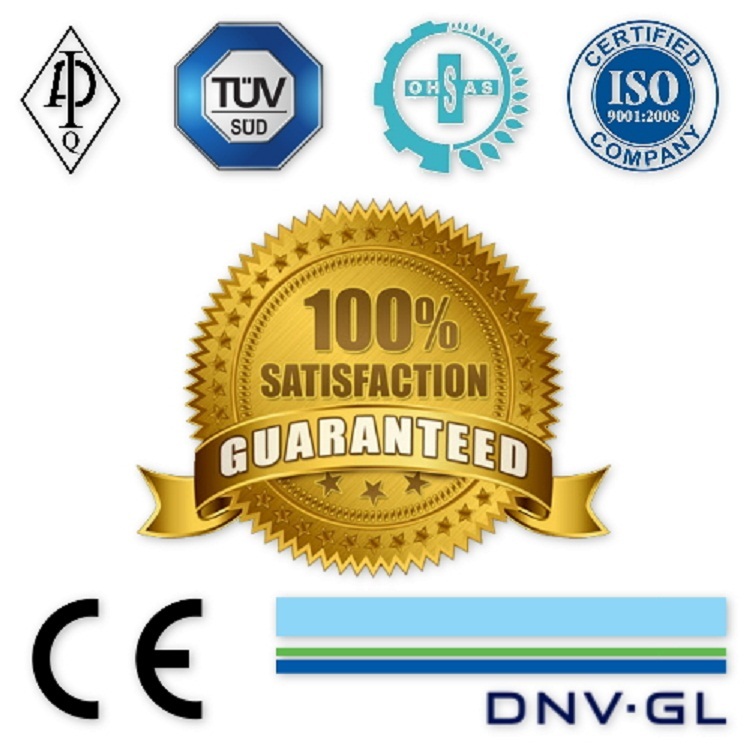 All of Qihang's drilling spools (Mud Cross) are designed and manufactured in accordance with API Spec 16A standards. 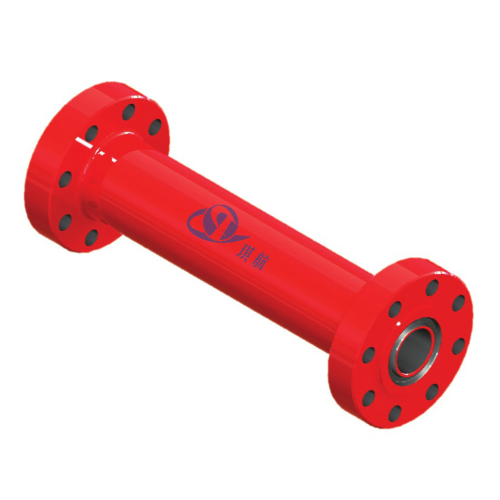 Our drilling spools are available in sizes from 1-13/16" to 21-1/4" and working pressure up to 20000PSI. 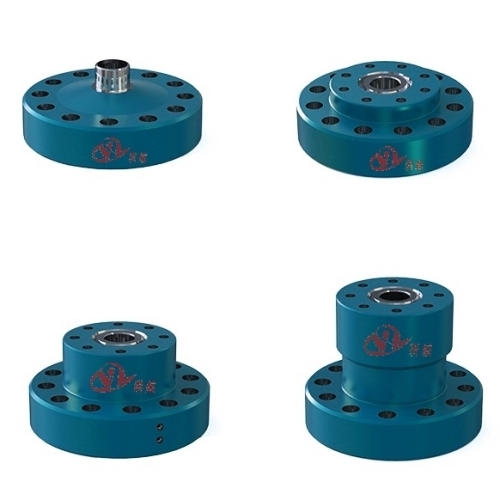 The standard material for drilling spools is high quality integral forged AISI 4130 alloy steel, other material and sizes are also available upon request. 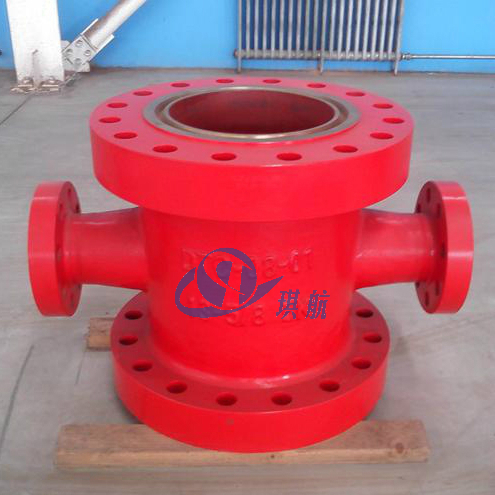 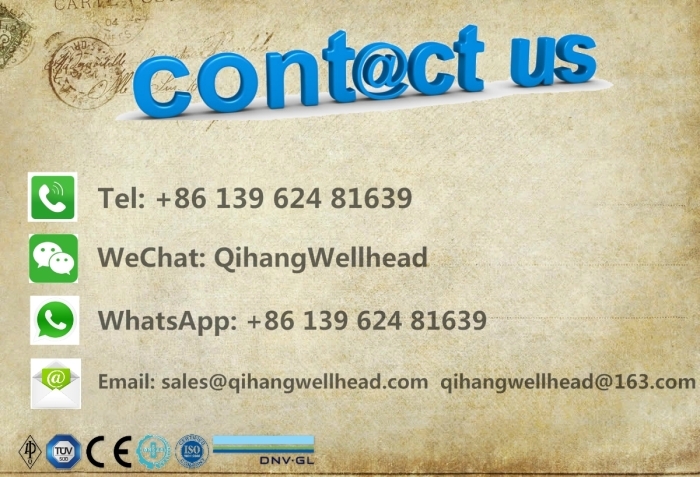 Qihang produces High Quality API Drilling Spools (Mud Cross) at Truly Competitive Prices.